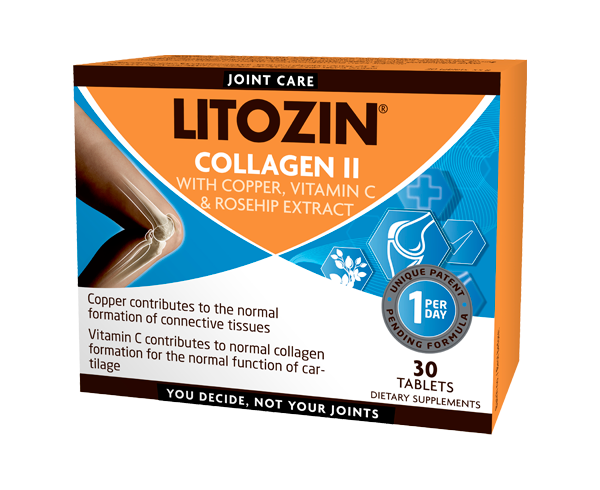 With this new combination product from LITOZIN® people with joint discomfort no longer need to buy and try several individual products. LITOZIN® Glucosamine combines multi-ingredients into an all-in-one capsule. Glucosamine is a sugar substance, or more precisely an amino-monosaccharide, which is extracted from shellfish and is a natural part of cartilage in our body. 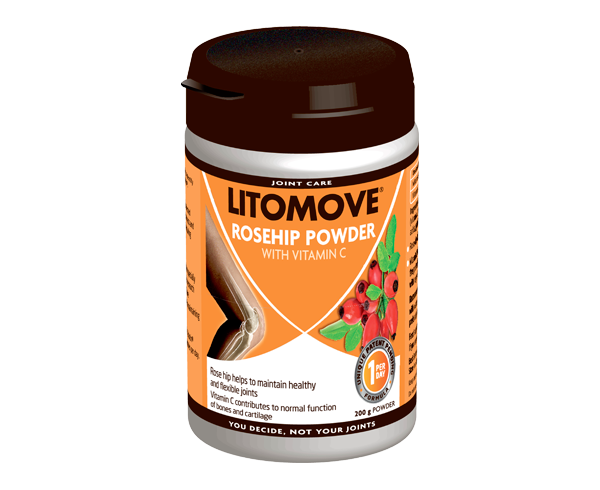 It is Glucosamine sulphate, which is used in LITOZIN® Glucosamine. 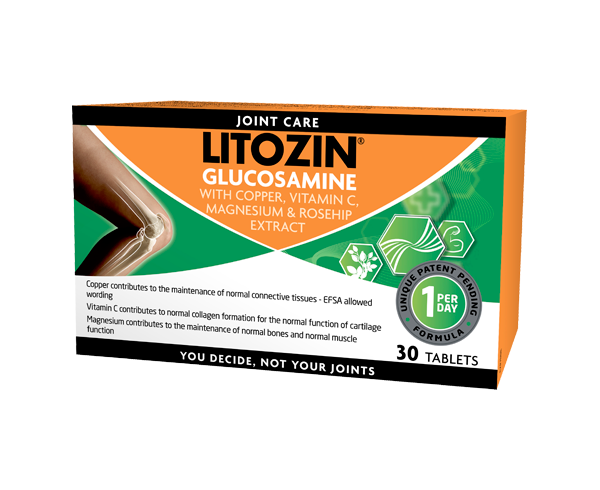 What is Copper and why is it a part of LITOZIN® Glucosamine? Copper contributes to the normal formation of connective tissues. A cause and effect relationship has been established between the dietary intake of copper and maintenance of normal connective tissues. 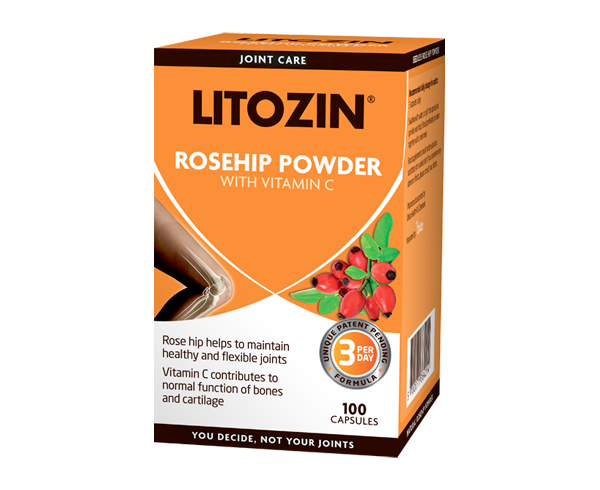 What is Vitamin C and why is it part of LITOZIN® Glucosamine? Vitamin C contributes to normal collagen formation for the normal function of cartilage and bones. It also contributes to the protection of cells from oxidative stress and the regeneration of reduced form of vitamin E.
What is magnesium and why is it part of LITOZIN® Glucosamine? Magnesium contributes to the maintenance of normal bones and normal muscle function. 1 tablet a day. Swallow with water. Should preferably be taken with a main meal.